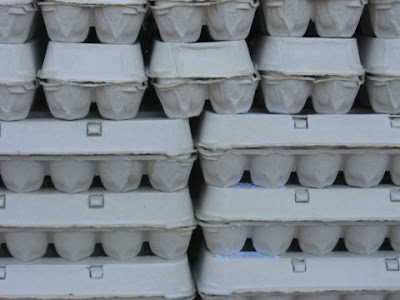 Question: Can I use egg cartons or pulp drink carriers for soundproofing? The answer is no. There would be little to no benefit to using these materials for soundproofing. They are also a fire hazard. The reason people use egg cartons is for echo reduction in a room, not soundproofing. You can search this blog for the soundproofing application you are looking for.